Aerojet Rocketdyne’s (AR) bid to pay $2 billion for United Launch Alliance (ULA) appears to have been declined by one of the two entities who have the ability to approve it. ULA, a Boeing-Lockheed Martin joint venture, which currently fields the Atlas V and Delta IV family of boosters, is working to launch the Vulcan Next Generation Launch System by 2019. Boeing appears to have declined Aerojet Rocketdyne’s offer – at a time when ULA is strengthening ties with the AR’s competition. ULA has opened the door to NewSpace firm Blue Origin, and the company’s BE-3 and BE-4 rocket engines for potential use on Vulcan. Aerojet Rocketdyne’s AR-1 rocket engine is currently competing with the BE-4 for use on Vulcan’s first stage. However, shortly after AR’s offer to purchase United Launch Alliance, ULA and Blue Origin announced that they would work to produce the BE-4. Representatives with ULA have told SpaceFlight Insider that the final decision as to which engine will power Vulcan aloft – would be made in 2016. SpaceFlight Now’s Stephen Clark has reported that ULA, at present, appears to be leaning toward the BE-4. 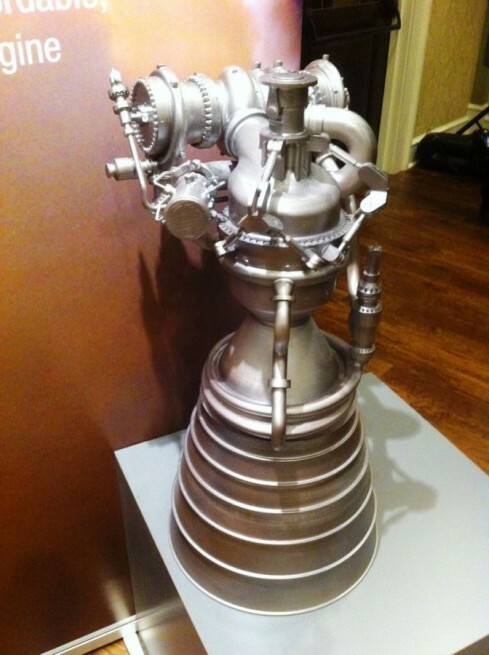 The cited reason is that, in terms of the rocket engine’s development, the AR-1 is two years behind the BE-4. With rival launch service provider SpaceX acquiring many new customers for their Falcon 9 rocket, time may be one of the more critical variables that ULA is considering in terms of the engine-selection process for Vulcan. At present, AR supplies ULA with the RS-68A and RL-10 for the Delta IV second and Atlas V upper stage as well as the AJ-60A solid rocket boosters that are currently used on certain versions of the Atlas V.
However, with the ascent of Vulcan, the liquid-fueled RS-68A (used on the first stage of the Delta IV), RL-10B2 (Delta Cryogenic Second Stage) and RL-10C (Atlas V upper stage) are likely to no longer have a customer. A representative with Aerojet Rocketdyne has stated that – depending on the certification of Vulcan and when the last flight of the Delta IV takes place – these engines could still be in service until 2023 and perhaps longer. As it currently stands, Vulcan will, initially, use a Centaur Upper Stage before progressing on to the Advanced Cryogenic Evolved Stage (ACES). The BE-3 is being considered for use on ACES. ULA announced on Tuesday, Sept. 22 that the company has decided to go with Orbital ATK’s GEM 63/63XL solid rocket motors (as opposed to the aforementioned AJ-60A) for both the Atlas V and Vulcan launch vehicles. Meaning that the core contractors on Vulcan appear at present to be: ULA, Blue Origin and Orbital ATK.